The temples and monasteries are an integral part of Cambodia’s rich culture and history. Their role in the principles, beliefs and actions of individuals and communities is highly significant in Khmer culture. The program develops and strengthens the impact of monasteries and their monks through it’s projects. 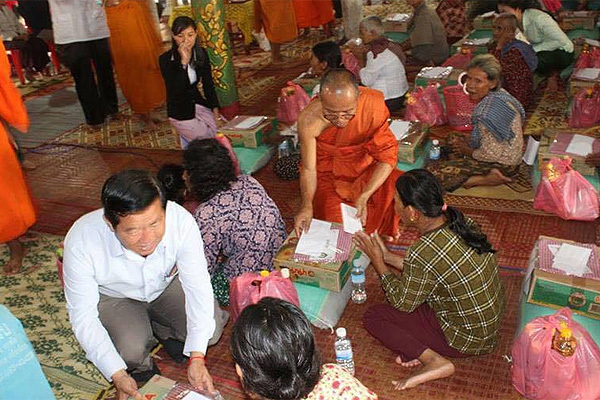 The program is at the heart of Wat Damnak and LHA’s core philosophy of delivering lasting and meaningful change to individuals and communities. 16 monks are currently studying a variety of courses and 5 monks have graduated from their Bachelor Program and several of them are now pursuing their Masters Degree. 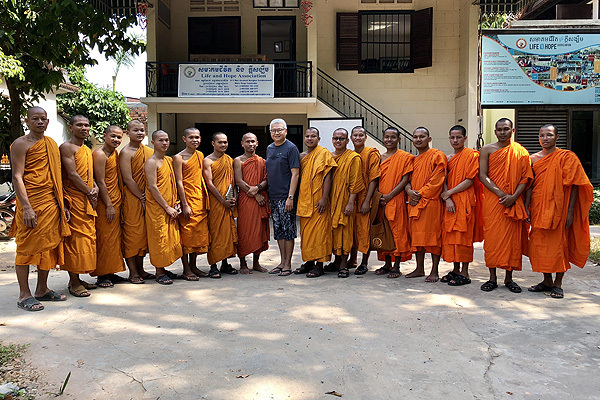 This project funds the most talented monks to further their abilities as leaders, providing them with the further skills to enable their growth as temple leaders across Cambodia. The concepts, knowledge, and theories of leadership and management are the most important for ensuring the effectiveness and efficiency of organisations, communities, society, and the country, especially for Buddhist monasteries in Cambodia. This is how we find the right way to true happiness and peace. 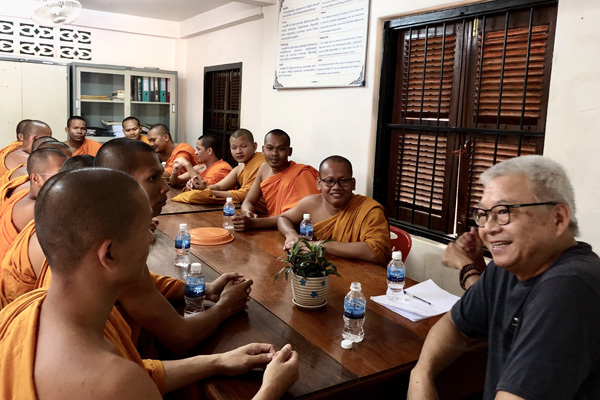 LHA has strong willingness and commitment to providing this kind of training to monks in order to help train them to be the best assistants for them to move forward and maintain and improve the current and future operations. LHA’s Program Directors benefit from this ability to undertake Leadership Training. This project provides funding to support the intake, development and training of monks in existing temples. It seeks lasting behavioural change in communities by teaching communities about the importance and value of social and moral responsibility in today’s society. 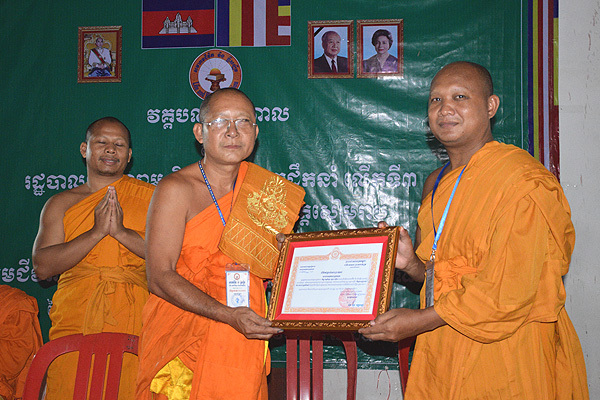 Scholarship monks receive access to health insurance as part of the commitment from the Seal of Love Charitable Foundation. 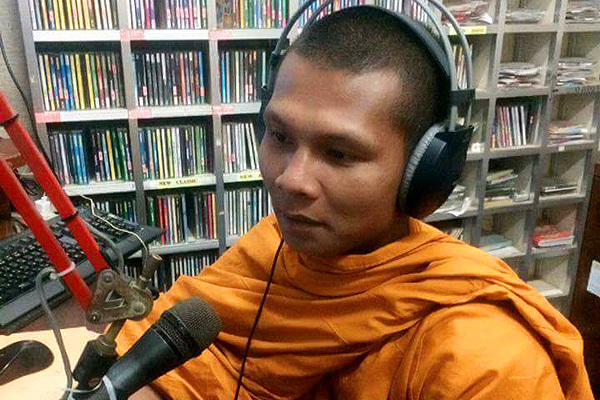 The monks of Wat Damnak host regular radio shows where they broadcast information on their activities, provide support and educate on Buddhism to the local communities. These are held during prime time to spread the seed of Dharma to the larger society. LHA has an instant access fund to provide immediate support to local and remote communities in times of sudden and great need. The network of temples, supported by the overall SOL program, allows LHA an outreach directly to even the most remote individual families. The temple network is highly effective and we are often able to give direct and efficient support. Through the temple network, our wide outreach is comparable to many of the large international aid organisations. Our fund acts quickly, at a local level, and complements the work of international organisations in times of need. LHA now has a way you can help this program in a variety of ways – in just a couple of clicks!